I decided to make cookies a couple weeks ago, and Younger Daughter plugged for oatmeal-raisin. I hadn't made those in while, so I agreed. These cookies are nice and moist and I've been very pleased with the recipe. Salt, baking soda, vanilla, cinnamon. One bowl mixed, one not (yet). Now the flour. It's too hard to mix if I add the flour earlier. These cookies take vigilance while in the oven. A minute too long, and they're too crisp for my taste. A minute too little, and they're not quite cooked. The recipe says 8 to 10 minutes baking; I set my kitchen timer at 8 minutes at first, but usually I'm satisfied at 9 minutes. Everyone's oven will be different. Nature abhors a crispy oatmeal cookie. An innovation of mine is to throw a handful of shredded coconut into the batter. It really doesn't change the taste, but does keep them ultra chewy - always a good thing. Hey! Not so realistic on the pictures, okay? I sprained my fingers reaching for a cookie. Pssst - I've got a secret that is so secret I have to spell it backwards. SNACEP. Add some snacep to the cookies and the world is yours for the taking. SNACEP's are delish! I use them in my Nutty Bread. If you Google Nutty Bread, it's the second entry from Elana's Pantry. Thanks for sharing, Patrice! I tried this recipe and they are great. 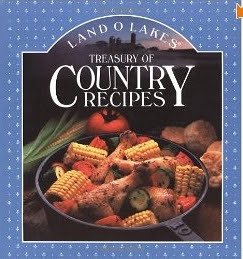 You may not believe this but I have that cook book...and I just made that exact recipe Saturday. It is my favorite oatmeal cookie recipe. Have you tried the honey cornbread?